Hotel Tarkeghyang lies in the Helambu region en route to Gosainkunda Lake. It can be reached from the trekking trial surrounded by beautiful forest and of the mountain giant Dorje Lakpa en the Jugal-massif. In 2015, the hotel was completely damaged by the earthquake. The hotel was rebuild and restarted in 2018. The 2.52 kWp solar system will help the hotel to provide the necessary energy need and will service the incoming tourists. Eco-friendly Home and Lodge is a homestay located at Melamchigaon which is en route to famous and religious Gosainkunda Lake. Due to its location the solar system is the only major source of electricity. The lodge is famous among the trekkers and is usually filled with tourists. Sumcho Top Lodge lies in trekking region en route to Gosainkunda, in the village of Thare Pati at an altitude of 3685 mtrs. The lodge owned by Mr. Jimba Sherpa and Mrs. Bamu Sherpa is where trekkers can enjoy a breathtaking view with delicious Tibetian breakfast. 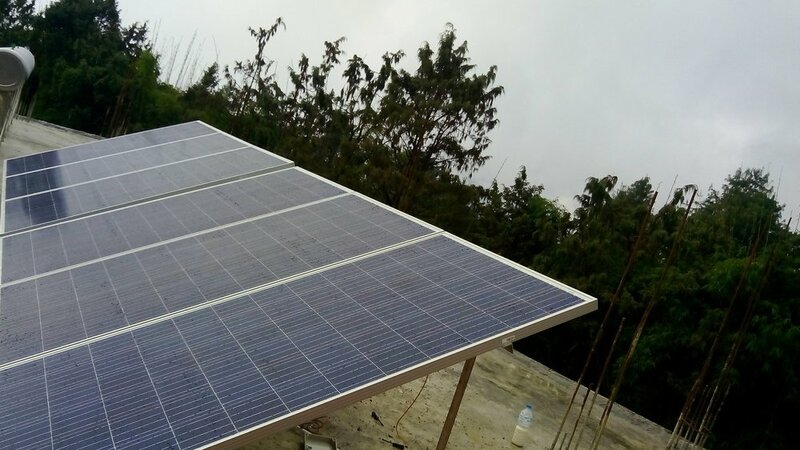 SunFarmer installed 1.89kWp Off-Grid solar PV system in December, 2018. The lodge now has reliable electricity for lighting which makes the tourists comfortable during their stay.